Official goodies from the Avengers: Endgame shows more new weapons are set to be featured during the movie. Avengers: Endgame will hit the theaters in less than four weeks from today, and on the day marvel fans will have an epic conclusion to phase 3 of the MCU. With Thanos disintegrating half the life, Infinity War gave us the biggest cliffhangers in the history of cinema, and the wait for the second showdown has been pushing the fans beyond the edge of their seat. While Marvel is doing everything in their power to confine every possible plot leak up until the very day of the film’s release, the Endgame’s marketing team has been significantly generous in terms of giving clues about any of the updates that are going to take place in the movie. Avengers 4 is bound to give us some major heartbreak. In fact, someone who worked for the movie has already confirmed that the movie is indeed killing off its one major character. There’s also been plenty of assurance that time travel and Quantum Realm is going to happen in the Endgame as suggested by all those teasers and trailers. And it's not only the pre-footages that are insinuating the likeliness of time alteration but film’s very own merchandises are also supporting the same theory. In fact, a series of new toys are showing more of a possible plot point from Endgame. Marvel news blog MCU Cosmic has uploaded a series of images and details covering a number of official LEGO toy sets that have been released in collaboration with the production member of Avengers: Endgame and the aesthetics are showcasing a direct inspiration from scenes that are more than likely to happen in the 4th Avengers movie. Outriders have been suggested by the promotional features on multiple occasions. This $19.99 set consists of 167 pieces and confirms that the Avengers will indeed have a second face-off with Thanos’s army of Outriders, which was also hinted strongly by Hawkeye’s 3D camouflage. There’s also another set of iterations that comes with a 699 piece Avengers Compound Battle LEGO set which will soon be released for $99.99, and this is definitely the biggest spoiler of the bunch. The arts suggest that Thanos is gearing up with a new weapon other than his previous talked about double-edged swords. 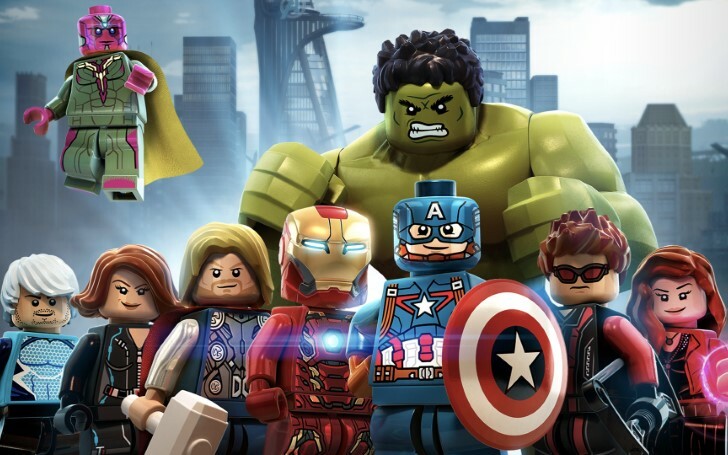 Other LEGO attractions include 76124 – War Machine Buster (362 pieces, $34.99), 76125 – Iron Man Hall of Armor (524 pieces, $59.99), and 76126 – Avengers Ultimate Quinjet (838 pieces, $79.99). Thanos is set to have one more weapon other than Infinity Sword. While the real plot of the film is still far from telling (simply on the basis of some figurines), we also cannot ignore the fact that almost all of this statuette is biasing somehow towards some of the most voted theories. So, if not all, then we can at least expect to see some intriguing models to appear in the movie.